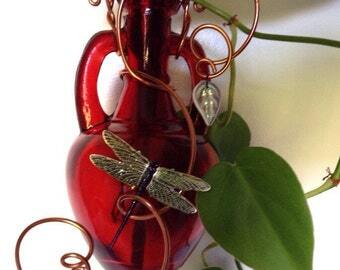 I hand color a stamped brass dragonfly to sit beautifully on a 6 inch glass window vase. A light dusting of glitter is applied and the dragonfly is sealed for durability. A suction cup is permanently adhered and the wire wrapping can be in the color of your choice with appropriate glass beads or crystals. This glass flower vase can hold quite a few stems. 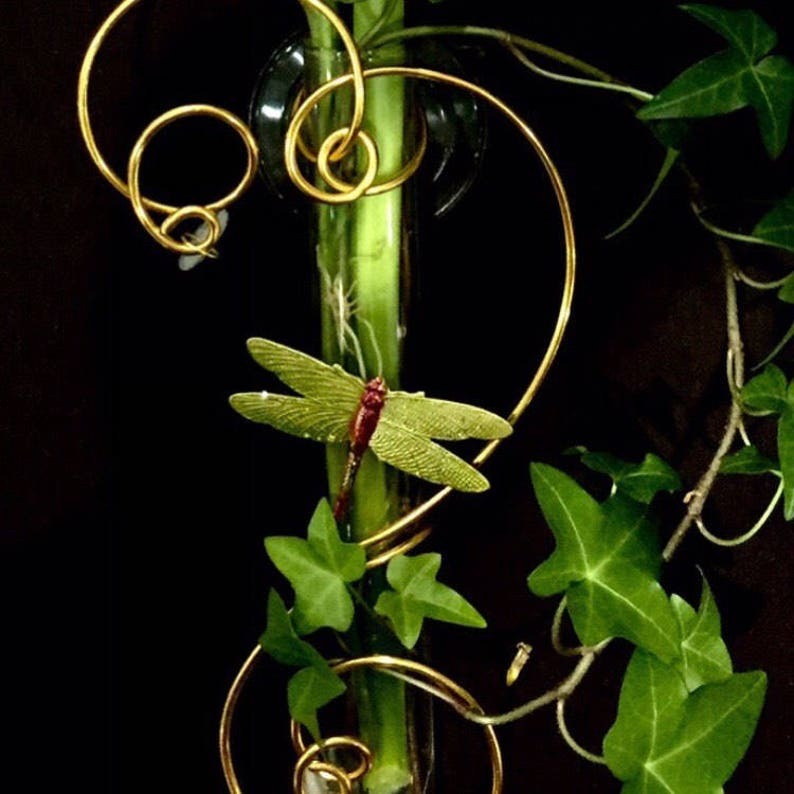 Flower stems are generally very thin allowing an assortment of blooms and/or cuttings to be displayed. Makes a beautiful presentation as a hostess gift. All Vases include a bouquet of my hand grown dried botanicals or silk florals. All vases are received beautifully packaged with tracking info included. Lifetime cost free repair offered on all suction flower vases. Satisfaction, excellent customer service, unique and quality product, from my shop with all 5 star reviews. This was a gift for me :-) and it is an awesome piece that is in honor in my house!